International No Diet Day is the annual celebration of body image acceptance and body shape diversity. The day is celebrated to increase awareness about how “Dieting” can undermine “True Wellbeing” and how it is less likely to be a sustainable lifestyle choice! Most diets are short term, provide no sustainable solution and they simply do not work. Almost 95% of dieters regain more weight than they had lost in 1–5 years! Then why do we still Diet? Last week a college friend of mine called up asking to give her a GM diet plan. A month before that another good friend called up, inquiring about safety and efficacy of keto-diet! 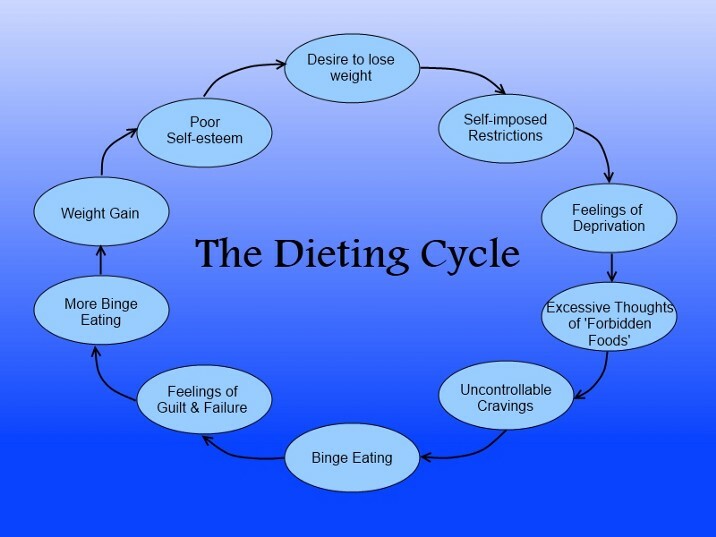 How many of you have tried dieting? 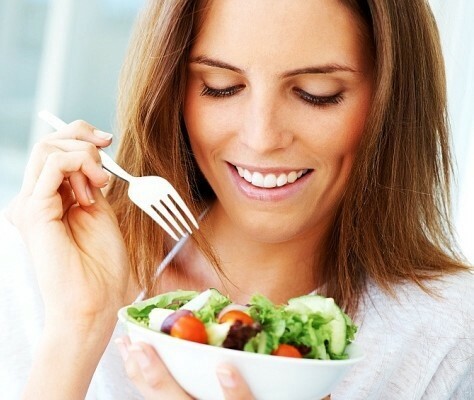 Be it a self-monitored dieting or professionally guided. No, but really, why do we diet? TO LOSE WEIGHT! How do we gain weight in the first place? In very simple words if Caloric Intake>Calories Spent, the surplus calories are stored in the form of fat cells. Now, of course, there are influences like medical conditions, hormones, stress, sleep, mood, genetics etc, but the basics remain the same. If you are spending less than what you are consuming, you are storing in the excess! If that is the case, then simply eating less than what we are spending and creating a caloric deficit should work right? RIGHT? Our metabolism is chemistry, and not mathematics! No matter how minuscule, every influencer plays a role and changes the game! If you are eating less, body thinks it is starving, gotta save every last bit of energy for the worst times, thus brings the metabolism down and ends up spending even lesser energy! This is a vicious cycle. Want to know how to break out of this vicious cycle? There is a term in Sanskrit, “Jeetendriya” (The one who has gained utmost control over all his senses!). We can all strive to be Jeetendriya, but truth is that we are flawed, we lack in many ways, one of which is lacking control over our hunger cues! 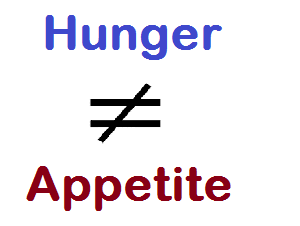 People who are more in tune with their senses (attuned) tend to recognize and differentiate hunger from appetite. They tend to stop right after they are full and are rarely swayed by the appetizing treats like desserts or ice creams at the end of a meal! These people, the attuned eaters innately have a better control over their hunger cues while rest of us struggle with it almost all our lives. They eat..and we DIET! Dieting is a struggle, friends…and the struggle is real. The very reason the struggle never ends is because diets do not work! 3 reasons why diets DON’T work! Diets are restrictive, repetitive and unsustainable in long term!!! Read more about why diets don’t work here. Now if not dieting, what must we do instead? Let us leave behind the age-old ways of labeling food as good or bad! Food is food…its neither good or bad. If you are sitting with your plate filled in front of you, don’t think how the food is good or bad for you..think how it is going to nourish you, replenish you…even if it is a plate full of plain old poha, think about how it is going to provide you with the necessary energy to kick start your day…think positive. 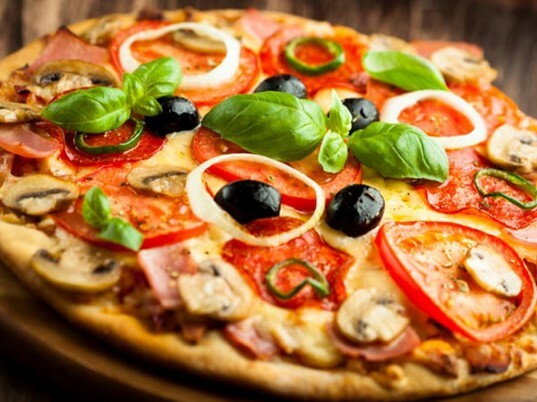 This will help you develop a positive relationship with the food. If you are out on a date, it is pretty much an unspoken rule that you must be attentive (or at least pretend to be so!) right? The same way, when you are facing your meal, look at it, look at the colors of the food served, breath in the aroma, feel the texture of the food when chewing it, indulge all your senses in the experience of eating, in a nutshell, be a mindful eater. And while at it, you will also be able to notice when you are half full, when close to full, and when to stop! Don’t drink your calories… Eat them! We all know that we need 6–8 hours of sleep to repair day’s wear and tear and rejuvenate. But what happens when we are sleep deprived? Physiological studies have shown that sleep deprivation makes us more prone to weight gain. Not only that but sleep deprivation also increases levels of Ghrelin (Hunger Hormone), couple that with the late night hunger pangs and you will find the strictest of dieter sneaking out of bed and straight in front of the refrigerator! And at that time I guarantee that they will not be picking out a carrot stick; why so? Because a sleep deprived and a foggy brain is more susceptible towards making bad choices! Which is why getting a quality sleep every night is most imperative for weight loss and also for the weight maintenance. Lastly but most importantly, yes there are diets out there that will promise you “A Weight Loss Without Exercise! !” but know this for a fact that such a kind of weight loss will be short lived. For a more effective weight loss and more importantly to keep that weight off, one needs to be physically active. And benefits of exercise extend well beyond just the weight loss, read all about them here. If you wish to discuss your specific weight issues, consult with me (Soniya) at DawaiBox.